Dear automakers, please build these. Ok, I know the likelihood of this is nearly zero, but I had to throw it in. Take the 2014 Mitsubishi Mirage and throw in a tiny turbocharged engine, or perhaps the 2.0-liter engine from the Outlander Sport. You could go with the trademark EVO front end, offer it in AWD, and have a truly interesting Mitsubishi, just like in the days of yore (aka the 1980s and early 1990s). 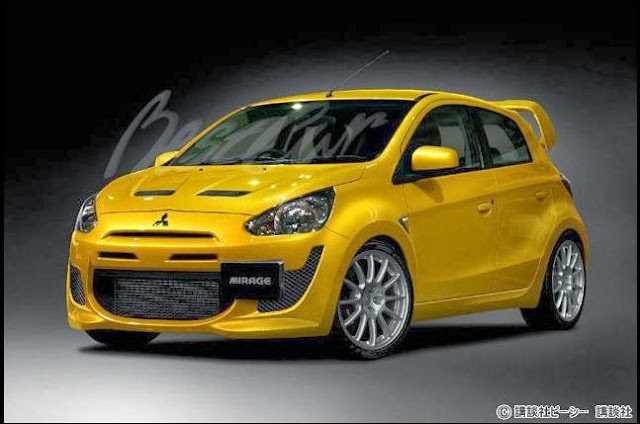 OK, so an EVO version of the newest Mirage is truly just a dream, maybe a Ralliart version with a few more ponies and some suspension goodies could actually happen. Of course someone has already thought about a customized Mirage, and even rendered it. I found the image from a Thai site at AutoCarNano.com. We've seen the MAZDASPEED3, so a MAZADSPEED2 should fit right in. If this vehicle existed, it could be powered by a small turbocharged powerplant, or perhaps by the existing 2.0-liter SKYACTIVE engine found in other Mazda vehicles. It'd have a six-speed manual transmission and a limited-slip diff. Knowing how Mazda likes to formulate its lineup, I could see this making anywhere between 130 and 170 hp. This car would be a blast, thanks to its already very good chassis and driving dynamics. Mazda: Make it happen for 2015! 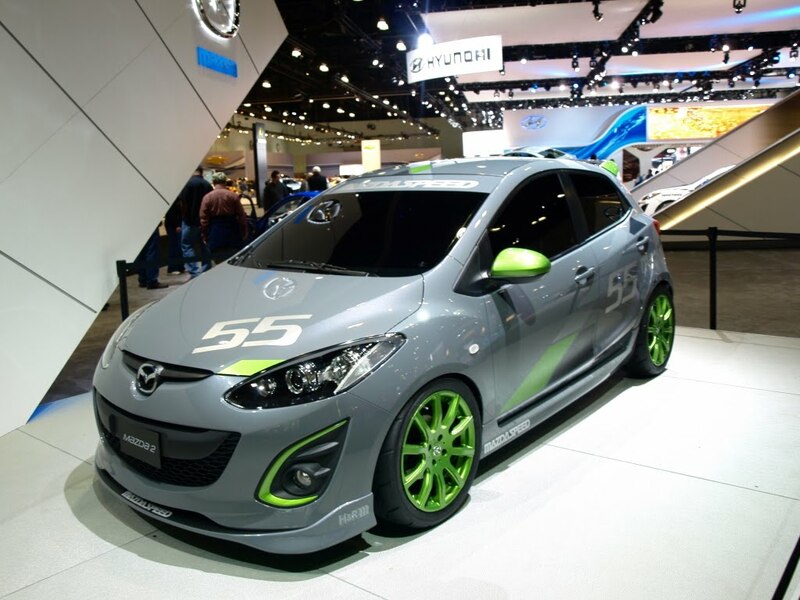 FYI, the car above was a SEMA vehicle from a few years ago that was showcased in the Mazda booth. 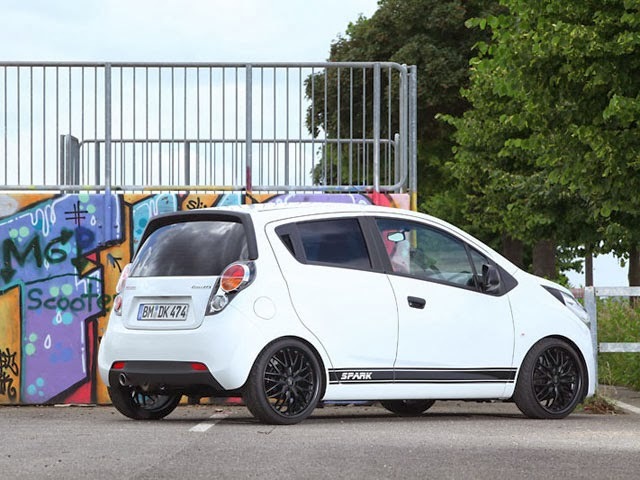 Take the tiny Chevrolet Spark and throw in the 1.4-turbo engine out of the Sonic. Boom: instant A-sement hot hatch. While the Sonic with the 1.4-liter turbo already makes 138 hp and 148 lbs/ft of torque and is fun to drive, a Spark with the same engine would be a damn riot. Add a stiff rear sway bar, lower it a few millimeters, liven up the steering ratio, and you've got a super-fun A-segment brawler. Chevy—are you listening? The car above has been customized by German tuner, KBR Motorsports. The Honda Fit is a world-class subcompact that can be a really fun vehicle to drive thanks to a great chassis, a outstanding five-speed manual transmission, and quick reflexes. So how about a little more power? I know what you're thinking: K24 swap, right? That would be awesome, but highly unlikely from the factory. 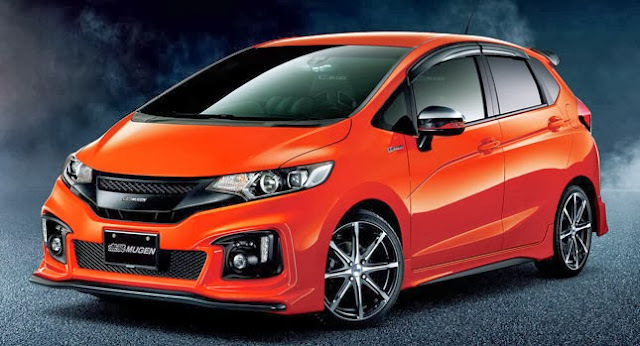 However, maybe the 143 hp 1.8-liter out of the Civic would be OKed by Honda top brass to create a Mugen Fit for North America? Or perhaps a Fit Si? That 1.8 liter engine likely weighs less (correct me if I'm wrong Hondaphiles of the world). Of course, you'd lower it, put stickier tires on it, and have some great-looking bodywork. People have been asking for this one since the Fit appeared in the U.S. I'd love to see it. 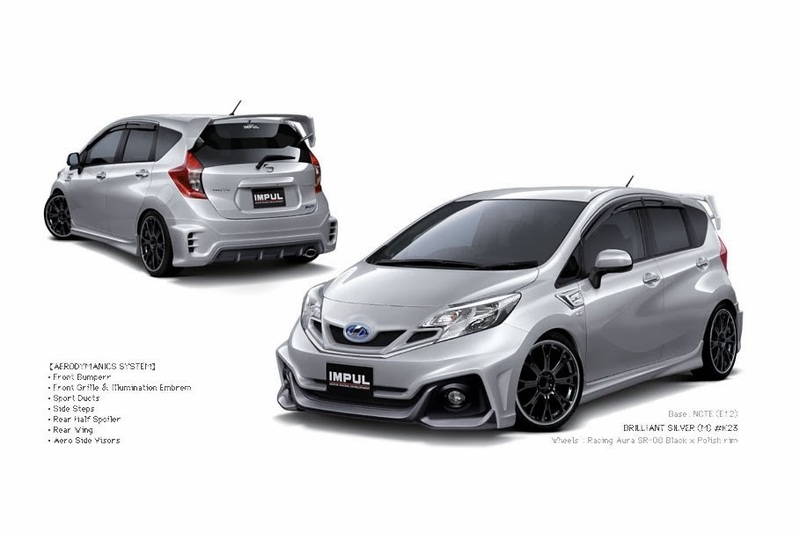 The vehicle pictured above is actually 2014 Mugen Fit for the JDM market. No word as to what's under the hood, but it does feature the body work, LEDs, projector headlamps, and cool wheels that could really up the fun factor on the Fit. Toyota does offer a sporty trim level for the Yaris, which is the SE package. While it offers bigger wheels, quicker steering, a more tuned suspension, and some different bumpers, it still has the 106 hp 1NZ-FE engine. The easiest fix to this would to put the 128 hp 1.8-liter engine from the Scion xD under the hood (this was the Yaris T-Sport in the last body style). Alternatively, perhaps the new Corolla's 132 hp 1.8-liter powerplant could be shoehorned in. Let's face it: The xD isn't getting any younger, but the Yaris was redesigned not too long ago. Let's add some more juice to the already lightweight Yaris, Toyota! 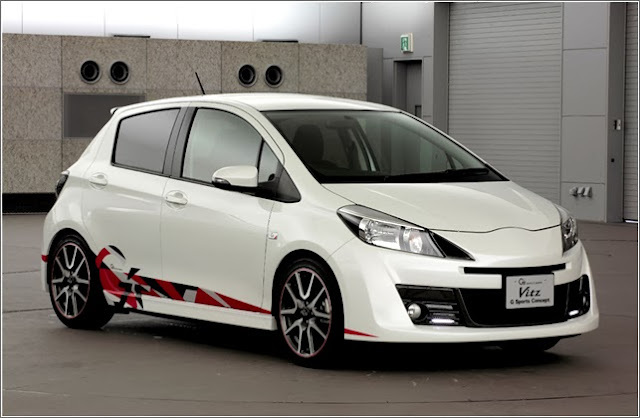 Above is the Toyota Vitz RS "G's" model. This does exist in Japan, but is powered by the same 1.5-liter the U.S. gets. Here's another no-brainer for me. 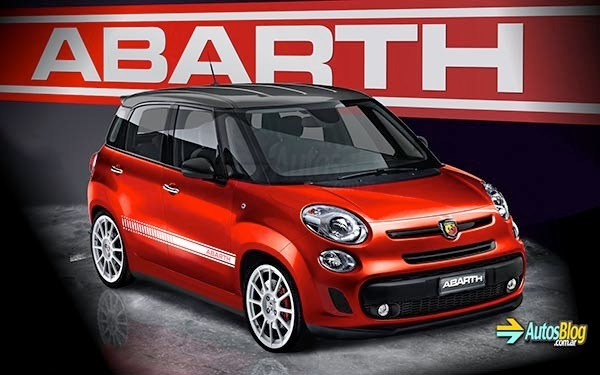 Take Fiat's 500L and tune the 1.4-liter turbo to Abarth specs to make one fast four-door Italian. I found this image via Google Images, but the watermark goes to AutosBlog.com.ar. Gotta give credit where it's due. Regardless, this little car needs to happen. The latest subcompact from Nissan, the Versa Note, is very practical and offers a good value. And while most NISMO-equipped Nissans get small bumps in power along with other goodies, I'd love to see a Note powered by the turbocharged 1.6-liter engine from the Juke. Plus, it wouldn't look as polarizing as the strangely shaped crossover. Oh yes. This would be awesome. The car pictured above is actually from Japanese tuner IMPUL, and gives you an idea of the Versa Note's potential. Now with 180 hp, this thing would really scoot. Of that group, I'd like to see the Spark 1.4T the most since it'd probably run no more than 15k if they take it easy on the standard extras. Unless the Mirage Evo could get the full-fat version of the current Lancer Evo powertrain with significant loss of weight and price , which isn't all that unlikely since Mitsu probably won't make a next-gen Lancer Evo and repacking the existing powertrain in a lighter car would up the speed and give them a fresh performance halo car. A lot of these are the exact same things I've been hoping manufacturers would do, especially with the Fiesta ST coming out. The Sonic RS is still too softcore, and I think they're waiting to see if Ford actually does well with the Fiesta ST before they invest a little more for a sport subcompact. An addition I'd make to the list: Accent or Rio turbo's. Same 1.6L as the Veloster, so why not throw that engine into the subcompacts and have a proper five-door. No more baby-tooth or "IMMA CHARGIN MAH LAZAH" meme-face from the Veloster (which itself looks like a Megane RS ripoff). Of course they need to be retuned suspension wise, but Hyundai Corp seems to be trying for improvements.